If anyone wanted proof that King of Fighters XIV was truly a global game, they would have to look no further than Evo 2017. Chia-Hung “E.T.” Lin of Taiwan outlasted China’s Zeng “XiaoHai” Zhuojun to win the King of Fighters XIV tournament at Evo 2017 on Friday night. E.T. let a 2-0 lead slip away in the grand final, but he recovered to take a nail-biting final round that came down to both players’ last characters. Six different nations were represented in Friday’s finals. That number increases to seven with Waqas “White-AshX” Ali’s birth nation of Pakistan and his current home of the United Arab Emirates. Luis “Luis Cha” Martinez of Mexico finished in third place, while Chia-Chen “ZJZ” Tseng of Taiwan bowed out in fourth. Ruber “Pako” Pardita of Mexico tied for fifth place with White-AshX. Two King of Fighters champions bowed out in seventh place. Evo 2013 KOF XIII champion Reynald Tacsuan, the lone American among the last eight, was eliminated in seventh place by ZJZ. KOF XIV World Champion Murakami “M'” Masanobu of Japan tied with Reynald after falling to Pako. The tournament was a test of both skill and endurance. Play began at 10am local time and did not conclude until just before 11:30pm. Both E.T. and XiaoHai appeared visibly exhausted by the end of their championship set. In addition to the Evo trophy, E.T. earned the largest share of the event’s nearly $18,000 prize pool. $14,000 of that prizing was provided by the game’s US publisher, Atlus USA. 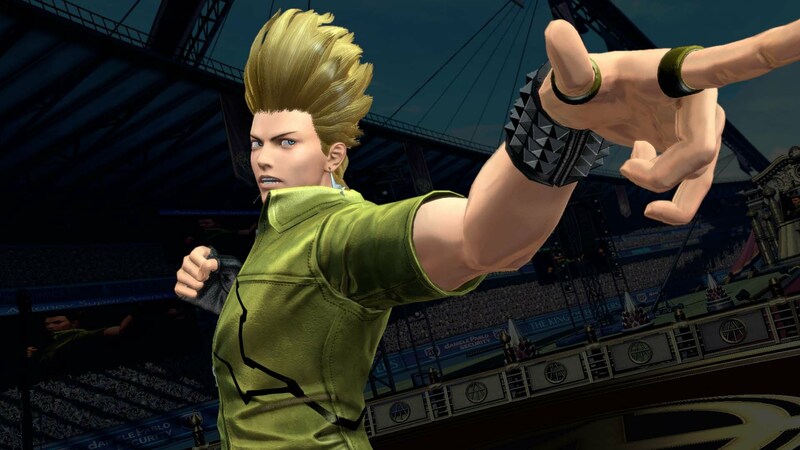 The King of Fighters title was the first of nine to be awarded at Evo this weekend. Titles in Guilty Gear Xrd -REV2-, Injustice 2, and Super Smash Bros. Melee will be handed out on Saturday. The champions of Ultimate Marvel vs. Capcom 3, BlazBlue: Central Fiction, Tekken 7, Super Smash Bros. for Wii U, and Street Fighter V will all be determined on Sunday.